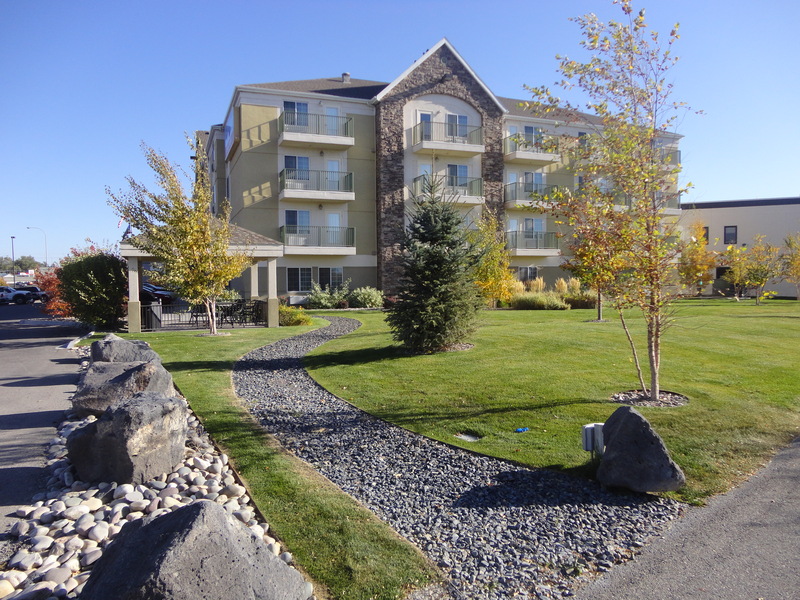 Candlewood Suites is situated on the banks of the Snake River and set up for the business person who might need to live for an extended time in Idaho Falls. The rooms provide well-stocked kitchenettes. And there are good laundry machines to wash your clothes. It is an ideal place to hunker down while on a business trip. 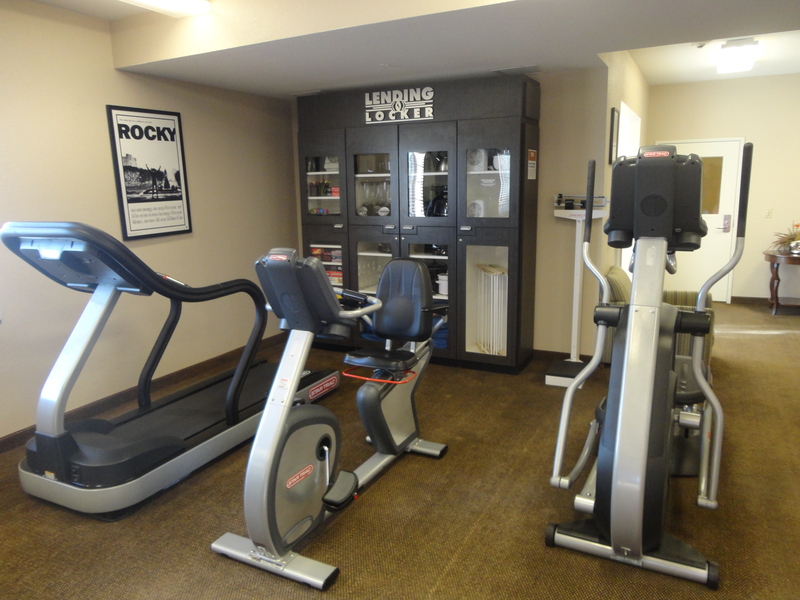 The fitness gym is small but suitable, allowing for 24 hour access. There is a lending locker in the fitness center where one can obtain anything from kitchen supplies to board games to highlight markers. It’s a nice service to their patrons. The Candlewood cupboard room off to the side of the front lobby acts like your walk-in pantry where you can purchase food items from 50 cents to four dollars. Also, behind the front office desk, there is a lending library where you can pick up movies or music CD’s. 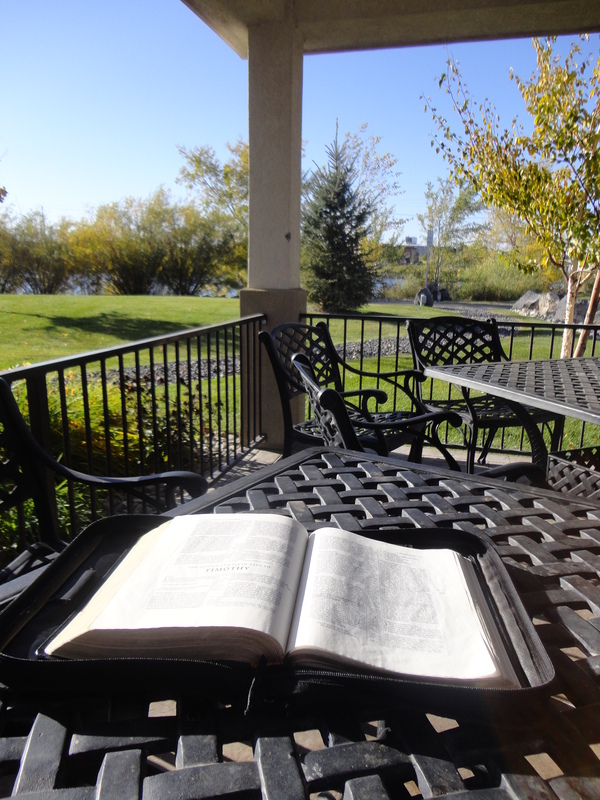 Outside, one can relax and read in the gazebo. 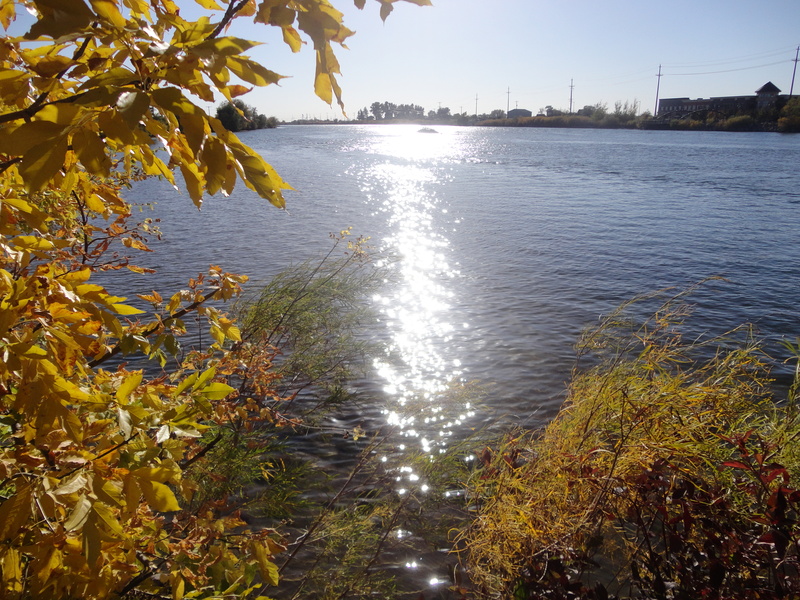 Or step up to the water’s edge and enjoy the view. There are restaurants within walking distance. My wife and I walked the Snake River greenbelt past the art museum and power plant and through Sportsman’s Island to Smitty’s for an evening meal. It was a beautiful evening on the river. 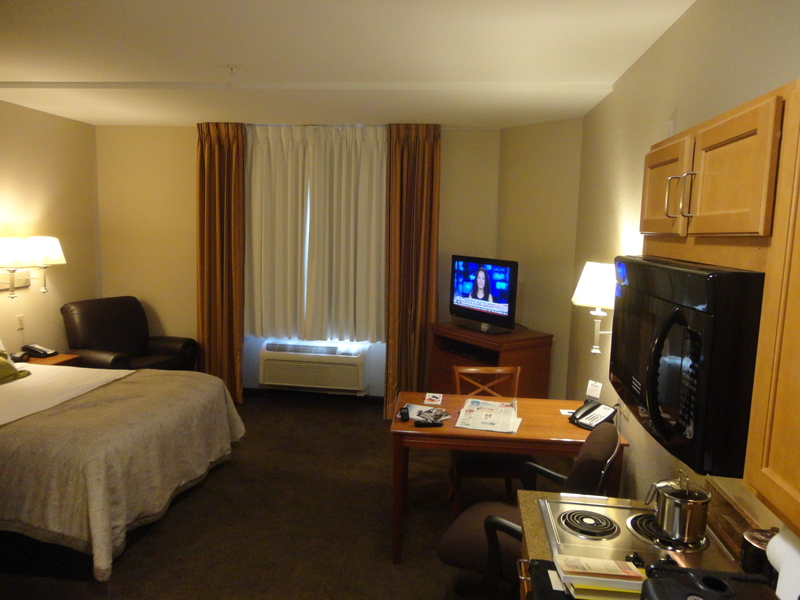 This entry was posted in reviews and tagged Candlewood Suites, Idaho Falls, motel, Snake River. Bookmark the permalink.